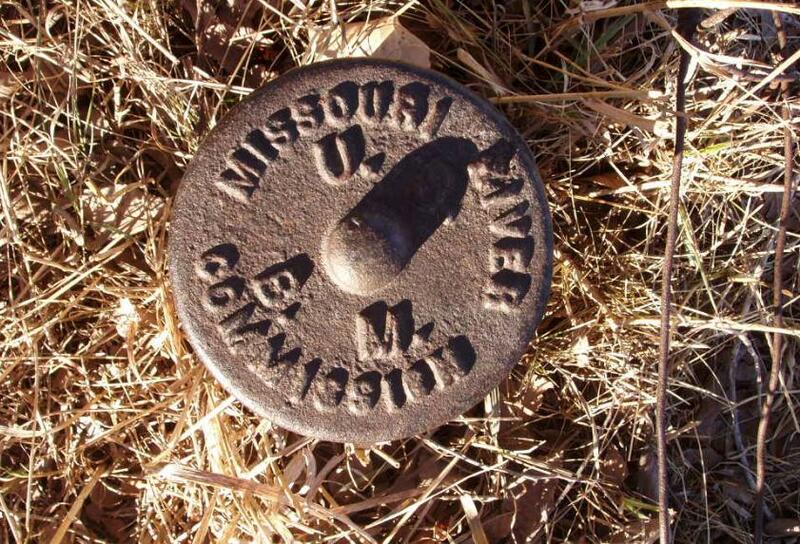 One of the Permanent Bench Marks that was placed along the railroad between St. Joseph, Missouri, and Sioux City, Iowa, in 1892. 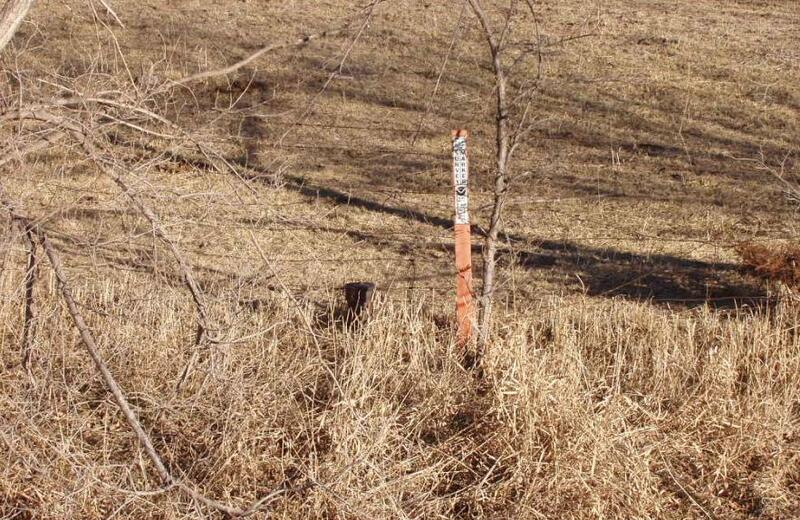 This bench mark is located approximately 1 mile north of Modale, Iowa, along the east side of the Union Pacific Railroad. 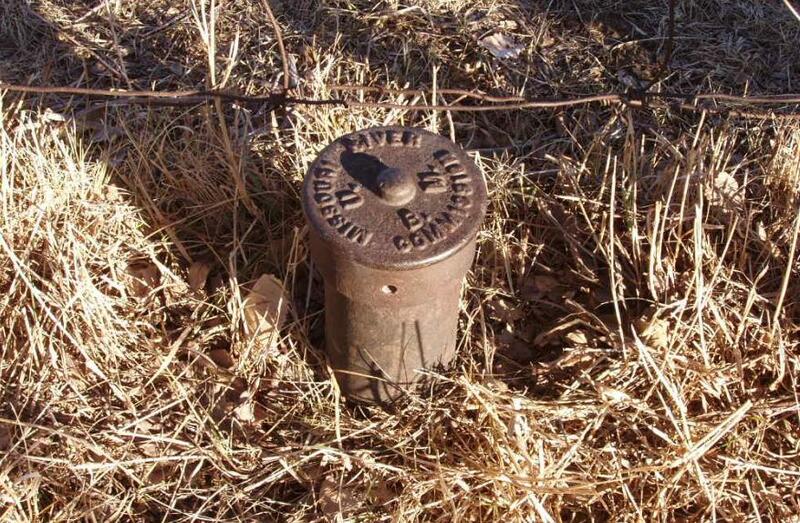 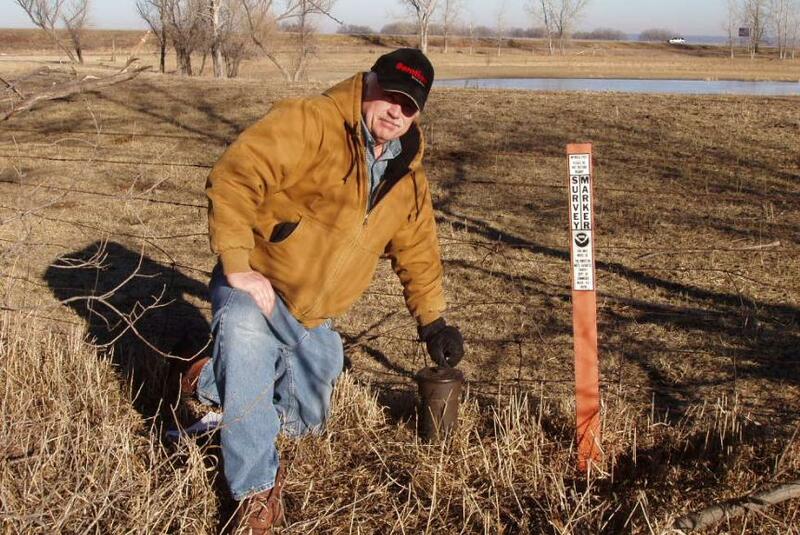 Recovered by Gene Thomsen and Jerry Penry.